Dr Gershon Maller, Principal Editor. ‘Our mission at Literati is to maximise impact potential of the benefits of new knowledge and imagination on behalf of authors whom we choose to take on as clients based on the needs of a manuscript at the time presented. Services range from proofreading, copy and structural editing to academic and scientific consultation according to time and budget available’. The fact that I passed without amendment is testament to your fine work. I have no hesitation in recommending you to other PhD students. Dr Vince Scappatura, BA DipEd MAIR PhD. Read more here. THANK YOU SO MUCH for your excellent editing services and cooperation during that short period of time. We really highly appreciate your work. Thank you again. Dr Shaker Ali Al-Mohammadi. Director, Quality Assurance Department, Al Buraimi University College, Oman. one small part of the world’s surface’ (Chetcuti 2018, p. v). 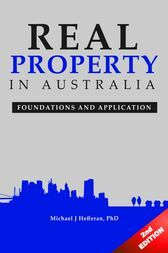 Hefferan, MJ (2016) Real property in Australia eContent Management. It was very remiss of me to forget to get back in touch with you on your work on the manuscript Real Property. Your input at that point in time was most beneficial and I wanted to write to you to thank you for that. The book is now complete and is now in circulation. Mike Hefferan, Vice-Chancellor, University of the Sunshine Coast. opinion’. PhD thesis, Deakin University, Victoria, Australia. personal acquaintance’. Journal of Family Studies. studies in Brazilian companies’. Innovation: Management Policy & Practice. Maller, CJ (2016) ‘Epigenetics, theories of social practice and lifestyle disease’, in A Hui, T Schatzki & E Shove (eds), The nexus of practices, Routledge, London. Contact me now for free consultation. M|0438625537 or inquire using this form.